With gripper pad tooling for gripping rolls from the outside diameter. Clamp, Rotate, and Tilt. The Self-Powered Hydraulic Battery Powered Roll Lifter is the latest innovation in fork-mounted roll, coil & reel handling. The BP-F- OD-2000, provides three fully hydraulic proportionally controlled functions that are activated by an ergonomic hand-held pendant. Rotating function offers full 360 rotation for rotating rolls to both the right and left. Tilting function allows the operator to tilt forward 120-degrees. Features infinitely variable speed for optimum control of your load, system pressure gauge and battery discharge indicator with hour meter and clock. Equipped with built-in, 12-volt battery-operated Power-Pak and self-contained hydraulics. Wireless remote option available. Batteries and charger are included. Usable fork tube size: 2-1/2 inch x 6-1/2 inch x 37-1/2 inch. Distance between forks: 19-3/8 inch. 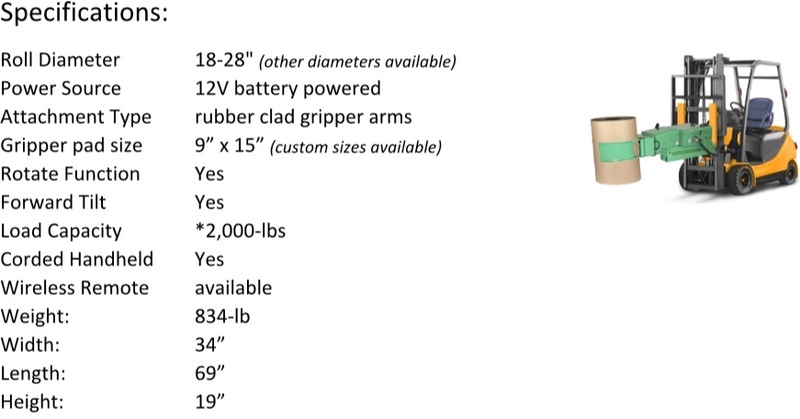 *1,000-lbs load capacity. 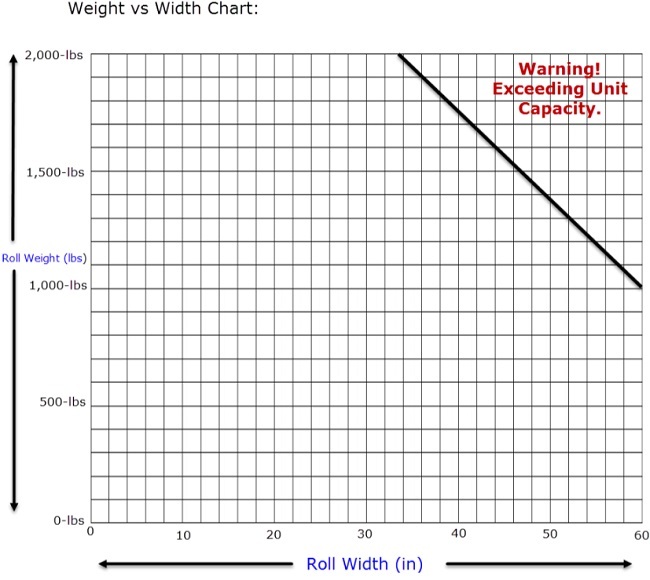 *Consult “weight vs width capacity chart” to determine if this device is suitable for handling your rolls.